The October 26 release has been directed by Gauravv K Chawla and stars Saif Ali Khan and Rohan Mehra. Nikkhil Advani’s Twitter bio reminds us that he had a cameo in Kuch Kuch Hota Hai, but that hardly the director-producer’s biggest accomplishment. Advani directed a clutch of big-budget commercial multi-starrers, including Kal Ho Naa Ho, Salaam-E-Ishq and Chandni Chowk to China, then made a lateral move with the animated film Delhi Safari and reinvented himself with the espionage thriller D-Day (2013). In 2015, Hero and Katti Batti, both helmed by him, were released a week apart, but fared poorly. Since then, Advani’s productions have seen greater success, in particular the feature films Airlift and Satyameva Jayate. Advani has just started directing Batla House, while also being involved in his company Emmay Entertainment’s productions, including Baazaar (being released on October 26) and a host of shows for streaming platforms. Excerpts from an interview. You have seen the ups and downs of filmmaking from the perspective of both producer and director. How different is the view from both sides? It’s not very different. Even as a director, I was producing, or co-producing. I have been involved in everything from budget to art, locations and marketing. The one thing it’s taken me time to get used to is be on a set and resist saying “Take one more shot” to the director. As producers, we have chosen a few key processes such as a full bound script, two weeks of workshops with the actors, working in a budget and yet trying to give the directors what they want. We are very conscious of budgets, which allowed us to make Airlift and Lucknow Central the way we did. In the case of Batla House, since I am directing, I am trying my best to stay away from production logistics. How do you feel about the changing film narrative – moving away from the 1990s style of storytelling towards a snappier narrative? I think that if the content requires big songs and locations, then you should do it. In the last five to six years, I have really found my zone with D-Day, P.O.W., Lucknow Central, Airlift and even Baazaar. I realised that if I had applied my morality and sensibility to Satyameva Jayate, it would have been a khichdi and gone for a complete toss. It took the daylights out of me to sit on that set for 40 or so days and not say anything. I would literally press my thumb to stop myself from asking Milap [Zaveri] why he was being so manipulative. But that was the film’s genre. From P.O.W., I learned that a show can be wonderfully crafted, acted and mounted and get acclaim but, most importantly, it needs the numbers. 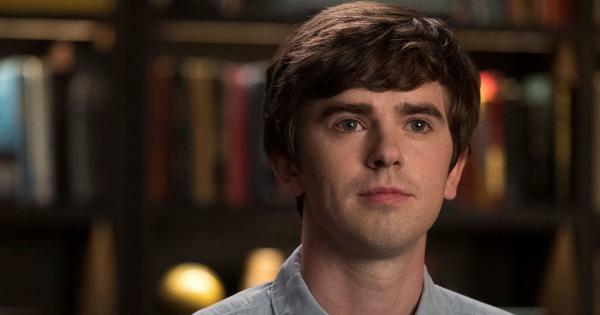 The landscape is changing, and we should celebrate that, whether the competition is from Hollywood or from over-the-top platforms, because it will challenge us to improve. ‘Baazaar’ is different from the films you have produce and directed. Baazaar is the story of the city as a magnet, its power and what makes you want to remain in this city. The share market is just the platform for the story to be told. It could just as easily have been set within the music industry or real estate. It’s Trishul. At the end of the day it’s Luke Skywalker vs Darth Vader; it’s good vs evil; it’s a small town boy with big dreams willing to cross any lines to get there and realising it is not worth it. People have asked if it is Wall Street or The Wolf of Wall Street. It’s Shree 420. It’s Raju Ban Gaya Gentleman. It’s that cinema. It has great characters and one-liners. The film also seems to focus on greed in an age that celebrates greed. That’s the reason I chose not to direct the film, because it needed to have a younger voice. The film needed a voice that believes it’s not so bad to choose money over love. I belong to the ’90s, where love was everything. But the later generations believe love is not everything and that money is equally important. Having said that, I also believe that in whatever story you are telling, the moral core needs to be strong – whether good wins in the end, or evil. Why did you choose to come back to film direction with ‘Batla House’? I didn’t pick Batla House; writer Ritesh Shah picked me to direct it. He had been working on the story for over a year before he came to me. I just changed the lens through which we looked at the film. He was looking at it as a pure procedural, a story of what happened or what did not happen in the encounter in 2008. My amendment was that I didn’t want to tell it from a neutral point of view, but from the wife’s point of view. So we have explored two perspectives – the man’s perspective and the police perspective, both told from the point of view of a strong love story. We are also telling you what the courts did. The film ends on a big court case. I like how polarised opinion is on the case and felt it is an important story to tell right now. What other projects are brewing at Emmay? We are now in a position where we are doing a number of shows. Two are on floors and the rest will begin over time. Hasmukh with Vir Das and Ranvir Shorey is a very dark comedy in the space of the earlier Coen brothers. We are going to start shooting Rocket Boys next March. That covers the period between 1938-1964 and is the story of Vikram Sarabhai and Homi Bhabha. Gauravv K Chawla, who has directed Baazaar, will be making a comedy called Crisis, which is about a top cardiac surgeon who cannot operate anymore going through a mid-life crisis. It’s very funny. We have started shooting Moghuls, which is based on the Alex Rutherford novel series Empire of the Moghul, with Dia Mirza, Shabana Azmi and Ronit Roy. We are also developing a medical drama and another series, which is like a modern day Rajani. So yes, these are busy times at Emmay. 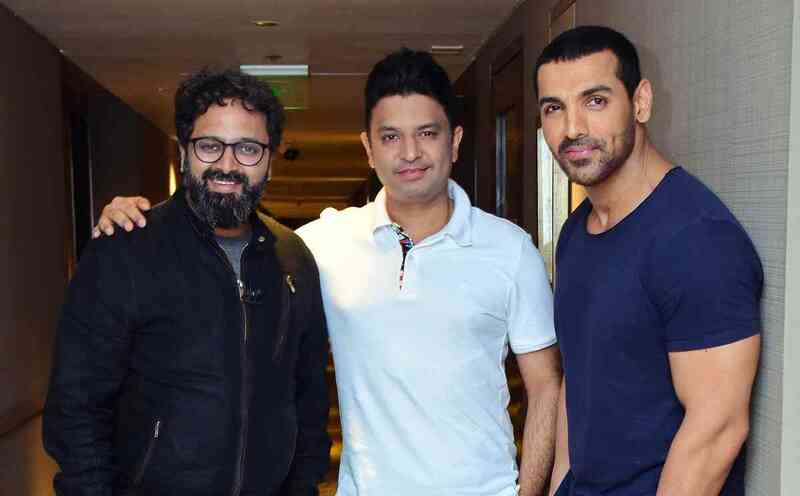 Nikkhil Advani (left) and T-Series head Bhushan Kumar with the Batla House lead John Abraham.